PLO member says the United States has no authority to change UNRWA's original mandate. Ahmad Abu Holi, a member of the PLO Executive Committee who holds the position of the Chairman of the PLO’s “Refugees Affairs Department”, said on Monday that the United States does not have the right to determine the fate of the mandate of UNRWA, the UN agency in charge of “Palestinian refugees”. In a statement quoted by the official Palestinian Authority news agency Wafa, Abu Holi rejected the call made by the White House to change UNRWA's mandate, pointing out that such a call is coupled with the hostility campaign led by the Israeli government against UNRWA and with Prime Minister Binyamin Netanyahu's accusations that its continued mandate has perpetuated and prolonged the refugee issue. Abu Holi said that UNRWA will continue its work as mandated by the United Nations, providing services to “Palestinian refugees” until the implementation of Resolution 194 and the return of the refugees to the homes they were displaced from in 1948. He stressed that UNRWA is a stabilizing factor in the region and any attempt to eliminate it will push the region into more violence and instability. Abu Holi called on the United Nations to provide sustained financial support to UNRWA's budget to ensure its continuity in response to the White House's call to change the mandate of UNRWA. The comments follow reports that White House Adviser Jared Kushner is working to shut down UNRWA, noting that the agency “perpetuates a status quo, is corrupt, inefficient and doesn’t help peace." Palestinian Authority (PA) chairman Mahmoud Abbas blasted the reported efforts, saying it would "oppose" and "foil" the plan. 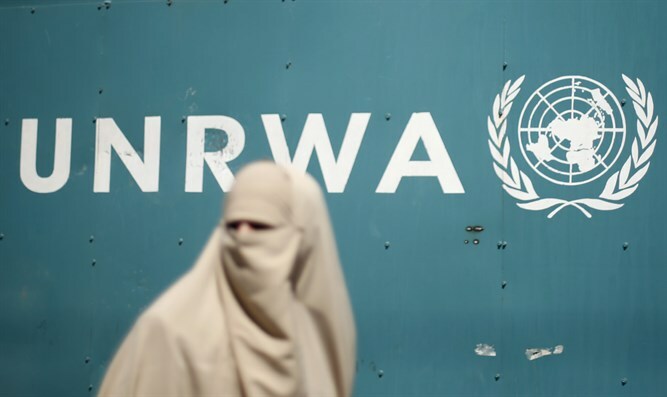 UNRWA is notorious for its anti-Israel activities. During the 2014 counterterrorism Operation Protective Edge, Hamas rockets were discovered inside a school building run by UNRWA. Likewise, a booby-trapped UNRWA clinic was detonated, killing three IDF soldiers. Aside from the massive amounts of explosives hidden in the walls of the clinic, it was revealed that it stood on top of dozens of terror tunnels, showing how UNRWA is closely embedded with Hamas. More recently, the director of UNRWA operations in Gaza expressed his support for the anti-Israel marches along the Israel-Gaza border and pledged that the organization’s medical centers will provide care for “Palestinian refugees” who might sustain injuries during them.